While alopecia is a general term for coat loss, the X signifies that the cause of the coat loss is unknown. 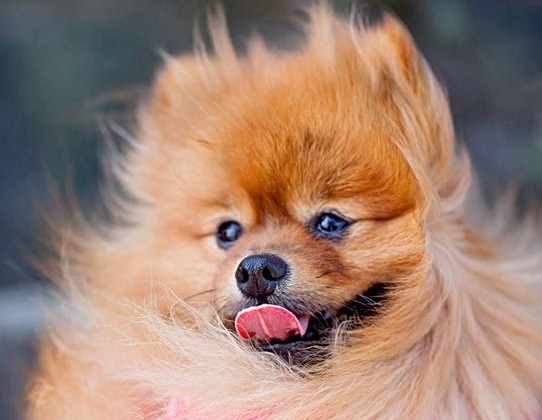 All breeds of Pomeranians have the gene that causes this disease, says Faustino “Tino” Farro, internationally renowned Pomeranian trainer (under whose tutelage are many international and local champions). As a result, BSD is diagnosed by exclusion only after eliminating other possible causes, like fungal infections, thyroid or adrenal dysfunction, skin parasites, and others. He helped Animal Scene complete a basic guide on how to identify, address, and hopefully, prevent the disease from developing. Identification – The coat loss usually begins around the tail, where the typically fluffy Pomeranian tail fur starts to grow thin. At other times, the body coat loses some of its color, becoming dry, coarse, or woolly, even clumping together. The shedding is also generally symmetrical along the body. When this happens, it helps to not jump to conclusions and immediately panic about your Pomeranian having the disease. Instead, bring your dog to the vet and have a series of tests done. The website pomeranian.org advises a skin biopsy, a blood panel, urinalysis, and tests for the thyroid and adrenal hormones. This will eliminate other causes of shedding, and can lead to other forms of treatment. It also helps to note the Pom’s age. Some cases of Alopecia X are early onset, occurring at four to six months of age. Sadly, this has been observed in puppies with fluffy, cottony coats, who do not end up growing adult coats. This should not be confused with the “ugly puppy” stage Poms undergo as they mature—it is best to wait for the first adult coat to grow out. In contrast, late-onset Alopecia X has been observed anywhere from two to four years of age. Here, the Pom goes through regular coat cycles until the new double coat stops growing. 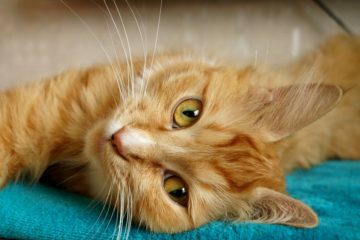 Thus, any coat loss at these age ranges can be a good reason to have your vet run a series of tests to see whether it is BSD or not. Interventions – Even though there is no known cure for BSD, owners of Poms have a number of options when their pet is diagnosed with it. Most of the treatments for BSD are symptomatic. Pomeranians with BSD are not in pain, so owners can focus on issues that arise because of coat loss. Coat loss can make a Pomeranian more susceptible to the weather. As the name indicates, exposure to thesun can darken the Pom’s skin. It can also suffer heat loss in cold weather, but that’s hardly a problem in the tropical weather of the Philippines. Suggestions from pomeranian.org include putting a soft sweater on your Pom in cold temperatures and putting sunscreen on it 15 minutes before going out on sunny days. Regular baths can also help relieve the skin from irritation due to exposure, and using an exfoliating mitt can help slough the dead skin off. The website also suggests switching from store-bought food to home-cooked food to ensure you’re your Pomeranian eats a generally more nutritious diet. There are also some theories that BSD is caused by a hormonal imbalance, and while this is still being studied, some cases of BSD were addressed by spaying or neutering the affected Poms. At the very least, such individuals can be taken out of the breeding line and will not produce offspring that carry the gene. 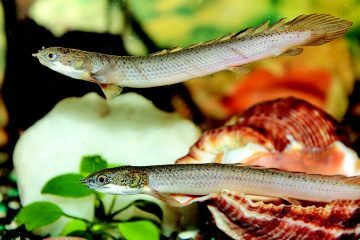 Reproduction – Breeders face a larger set of challenges. Tino advises outcrossing or distant line-breeding for hybrid vigor and genetic diversity, but only with lines that have not produced BSD-afflicted individuals. When buying new pups, he prefers to see both the sire and the dam; while it is normal to have the dam shaved after it gives birth, a breeder should have no problem producing a sire for inspection. Beware: if your breeder refuses to show you the parents of your Pom and can give no legitimate reason other than “the dogs are my secret,” this may be a cause for concern. It also helps for breeders to be honest about which lines have produced BSD. Tino has spoken with one breeder who mixes white and orange Pomeranian lines in an effort to breed out the gene. The website pomquest.com appears to support this, saying that BSD has a smaller prevalence in Nordic or Spitz Pomeranian breeds. Lastly, local breeders can contact each other and breeders abroad to gain more information on Alopecia X. Most importantly, BSD is no reason to euthanize or give up an affected Pomeranian. As it is not an infectious disease, a Pomeranian with BSD is still a regular dog in many ways, and can return its owner’s attention and affection in its own unique way. Next ArticleAfter Seven Decades, The Tiger Barb Is Still Beautiful!